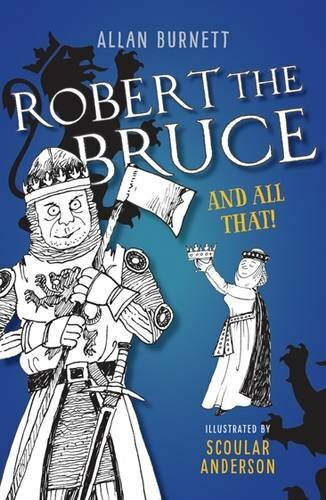 New Edition: Robert the Bruce and All That is a real-life adventure packed with historical facts about Scotland's warrior king. Gallop alongside King Robert the Bruce as he takes up the quest to free the Scots from terrifying King Edward and his bumbling son, Edward II. Voyage with Bruce to the mysterious islands of the west, and read about the secret plan to win over his kingdom. Discover what happened to Bruce's queen and sisters when they were seized by the enemy. Learn how to capture a castle as Bruce and his men topple enemy fortresses across the land. 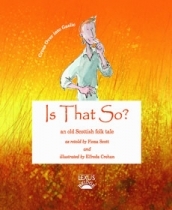 Hear skulls crack as Bruce sends Edward II homeward to think again at the Battle of Bannockburn. Follow Bruce's amazing life after death as his heart is taken into battle in Spain - and find out how it was safely returned home. Packed with fantastic illustrations, this brilliant book will make you want to dress up in chain mail and relive the action!